In August a team of 5 strangers will attempt to Run the Peaks, find out who they are. Marc is an endurance runner who had taken on hundreds of events in his running career – from 100 mile events, Ultras, Marathons and a handful of Half Marathons, in 2015 he won Hell on the Humber – an endurance event like no other. Marc is raising money for Paul Moore Jr. 4 years ago Paul was an outstanding footballer and cricketer, represented his County in both sports. Tragically, on his first holiday aged just 18, Paul had an accident that left him unable to move or speak. Now 22, his family want to bring Paul back home and make sure he has the best treatment and recovery available to him. Previously a swimmer, Jessica started running and going to the gym after an injury and hasn’t looked back since. In just a few short years she has taken on some great challenges from marathons to Tough Mudders and recently Europe’s Toughest Mudder – an 8 hour overnight obstacle course race. Jessica is raising money for the mental health Charity Mind. The charity provides advice and support to empower anyone experiencing mental health problems. 1 in 4 people will experience mental health problems in a year and only 15% of those will access support. No one should battle a mental health condition alone. Jessica herself knows this all too well having battled through an eating disorder after receiving valuable help and support. Howard has spent many years on his bike doing trips such John O Groats to Land’s End, over 10 London to Paris trips, several 100mile events leading to triathlons and ultimately an Ironman. In 2018 the love of long distance running took off for him. Howard was training for 3 ultra marathons, 2 54milers and a 100km event and as such running soon became a way of life – either running to work or taking long run of up to 30miles to get in the training. Claire first dipped her toe in the running world 15 years ago when a friend convinced her to take part in her first 10k. 51 minutes, a broken bone in her wrist, a grazed chin and chest after an accident mid-run, Claire was not put off. She took up running ‘properly’ in 2011 when she joined her local running club, Sandhurst Joggers. Within 3 months of joining, she was signed up to her first half marathon and her first marathon, and she hasn’t looked back since. In September 2017, Claire lost her Mum Penny to a brain tumour. Claire gave birth 5 weeks later. She knew she wanted to do something positive to help with her crippling grief. She planned a run from Ascot (where she was born) to Rochester in Kent (where her Mum was from and where her ashes are scattered) and back again over 4 days in memory of her Mum and to raise money for Brain Tumour Research, helping fund their quest to find a cure. Since taking up an active lifestyle in 2017, Guy has taken on some incredible challenges – cycling from John O’Groats to Land’s End in 9 days solo, cycling the National Three Peaks solo in 3 days and most recently he ran the 220 miles from Liverpool to Reading over the course of 7 days, averaging 32 miles a day all dressed as various superheroes. Guy is continuing to support Make-A-Wish UK through this new challenge. 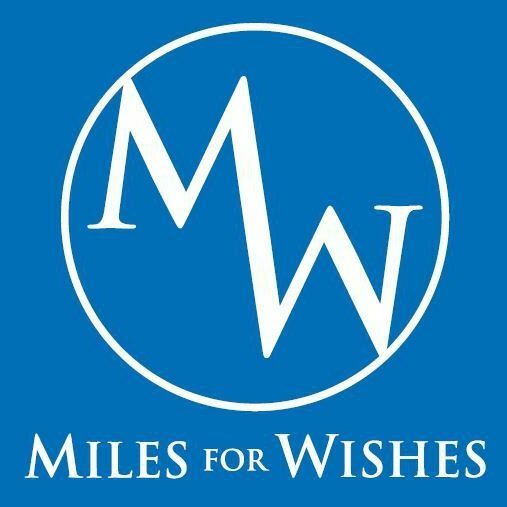 Make-A-Wish grant life-changing wishes to children with critical illnesses – whether that’s staring in their own film, having an amazing holiday, meet their favourite celebrity or getting a bedroom makeover.